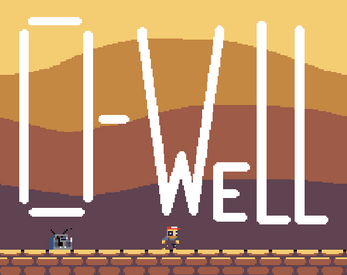 A difficult platformer about building up the skill to overcome an obstacle. My personal best is 1 minute and 37.42 seconds. Post your time in the comments if you want. No matter the time, if you get to the end you should be very proud of yourself. This was done at Lojam 2019 and we had from January 11th to 13th. Thanks to everyone who played it at the jam, and everyone who set the event up. and I did the rest. Do you know where to go after you've obtained the hand upgrade and the jump upgrade right after that? there's this block and if you jump at the wall and keep pressing left, you'll grab onto the ledge. Sorry if this didn't help.